#1 New York Times bestselling author Susan Mallery and Quilter's World Magazine present the Fool's Gold Mystery Quilt, a free pattern designed by Carolyn Vagts, editor of Quilter's World and inspired by Susan Mallery's Fool's Gold romances. Over the course of eight weeks, the pattern will be released one step at a time, alternating between SusanMallery.com and QuiltersWorld.com. Watch for announcements at Facebook.com/SusanMallery and Facebook.com/QuiltersWorldMag. If you're not on Facebook, you can check back here every week to get the instructions or a link to that week's instructions on the Quilter's World website. The address of this page is www.susanmallery.com/quilters-world - be sure to bookmark it. 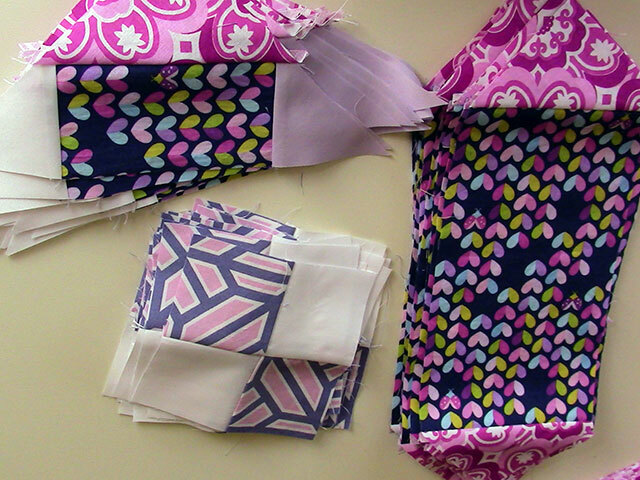 Send pictures of your quilt in progress to jenel@susanmallery.com! The Fool’s Gold Mystery Quilt has begun! Visit QuiltersWorld.com/mystery_quilt_PDF.php to get your fabric requirements and cutting instructions, then mark your calendar for September 23 to check back here for the first steps in sewing. And if you’re on Facebook, be sure to like www.Facebook.com/SusanMallery and www.Facebook.com/QuiltersWorldMag to connect with other quilters who are making the quilt at the same time. Let’s have fun with this! Time to start sewing the Fool's Gold Mystery Quilt! Download the Week 2 instructions (PDF) here: Mystery Quilt Week 2. Post pictures of your fabric selections on the Facebook pages of Susan Mallery and Quilter's World for other readers/quilters to see! It's going to be a lot of fun to see how the same pattern can produce such different quilts, because of the different fabric choices of their makers. Ready to sew some more? Great! Visit QuiltersWorld.com/mystery_quilt_PDF.php to get the instructions for your next step in sewing! Here are pictures of two readers' progress as of week 3! Share pictures of your progress on the Facebook pages of Susan Mallery and Quilter's World! It's really starting to look like something, isn't it? Download the Week 4 instructions (PDF) here: Mystery Quilt Week 4. Get ready to have fun with triangles! Visit QuiltersWorld.com/mystery_quilt_PDF.php for this week's instructions! Brace yourself — you're going to complete some blocks! Are you excited? Click here to get your Week 6 Mystery Quilt instructions! Congratulations to the following three readers! Linda Height, Jeanette Rankin, and Linda Wagner, you have each won a Susan Mallery audiobook! Please send your mailing address to jenel@susanmallery.com by November 10 to claim your prize. This is it! You're putting the quilt together this week. I'm so excited to see how they look. Get this week's instructions here: Mystery Quilt Week 8. Watch for the video reveal of the original Fool's Gold Mystery Quilt at Facebook.com/SusanMallery and Facebook.com/QuiltersWorldMag. It is spectacular!